We are collecting money to help all of our local staff back on their feet and to rebuild their houses after the earthquake. 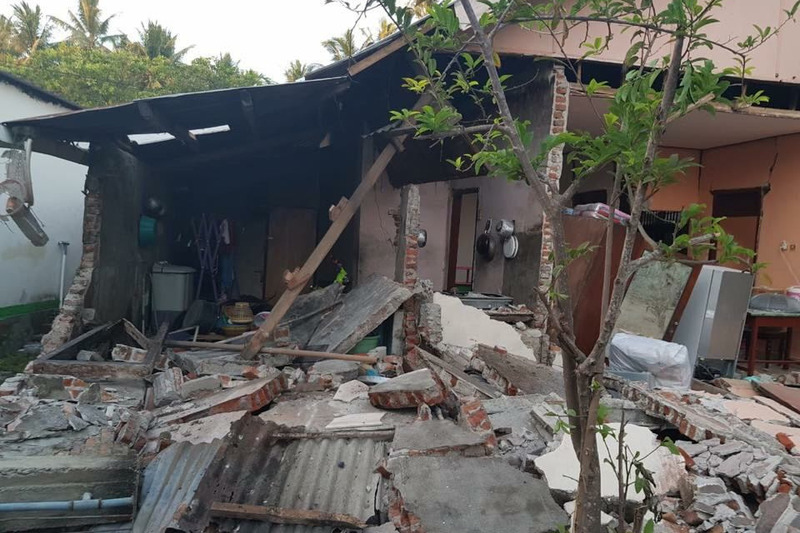 Please help generously, so we can make sure that the towns that are still in desperate need in North of Lombok can get supplies quickly, and so that after we can restore the beautiful paradise that Gili Air is! 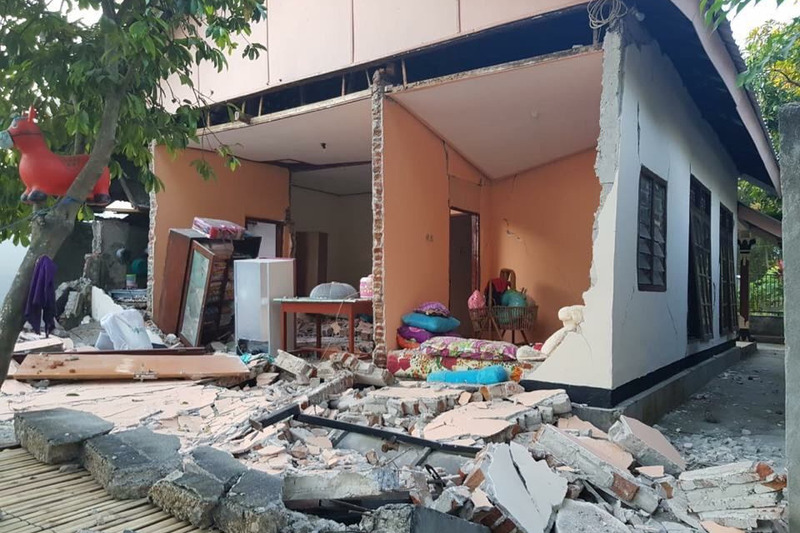 On the evening of the 5th of August a 7.0 earthquake hit the North of Lombok. The power went out immediately, and we were all scrambling in the dark. 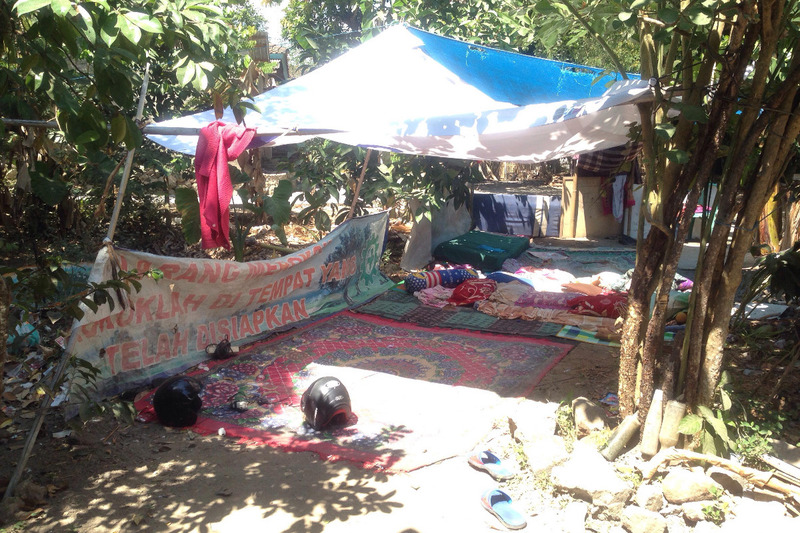 Many local people as well as some tourist fled to Lombok in the night, both in the fear of a tsunami as well as to reach their families in Lombok. In Gili Air we were very lucky as we had very few injured, and we again proved to have an amazing community of people. 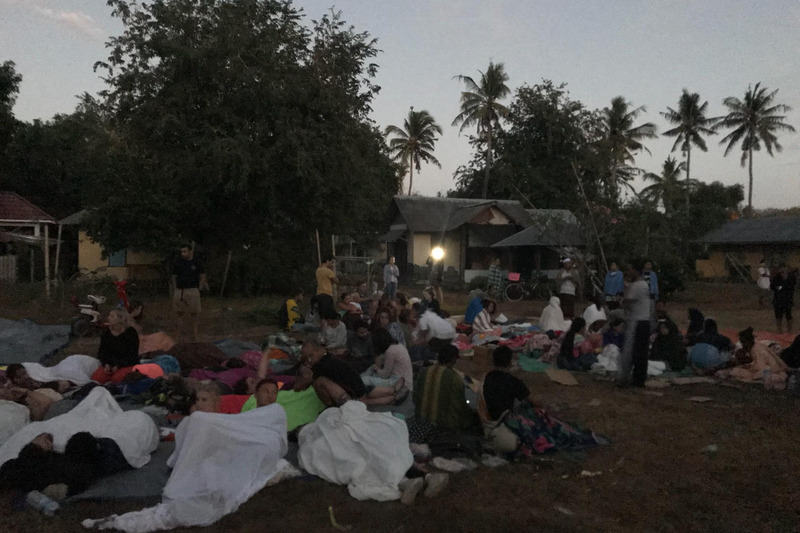 Once the tsunami warning was lifted, the Gili Air community together found blankets, pillows, food and water and whatever we could find to keep all of us safe and warm overnight. When the sun finally came up, we all knew that we needed to help. We had no resources to help anyone in Lombok, so we focused on evacuating people of the island safely. The first priority was with injured people, who were already almost all dealt with and evacuated by the morning. 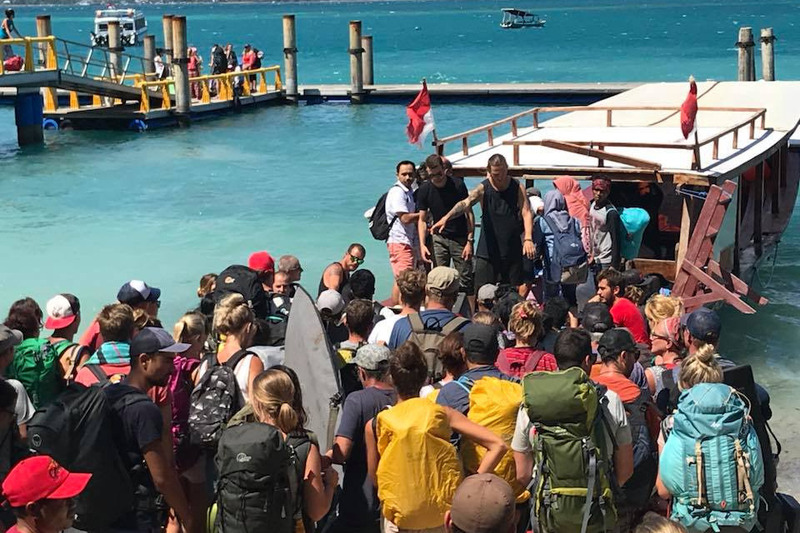 Then together with our Oceans5 family who decided to stay on the island we started an evacuation mission for all of the locals who were trying to reach their families and tourists trying to get to Lombok. We only had one captain, as all the others needed to look after their familie’s safety. And this captain was Oja. Oja can not be praised enough. Tirelessly he went back and forth with our beloved boat Hupla to evacuate over 600 locals and tourists off the island. Our amazing team of staff and divemaster candidates made sure that the evacuation ran smoothly. We did not charge people anything, we did this purely out of love for our island, community and all the people who experienced the earthquake with us. 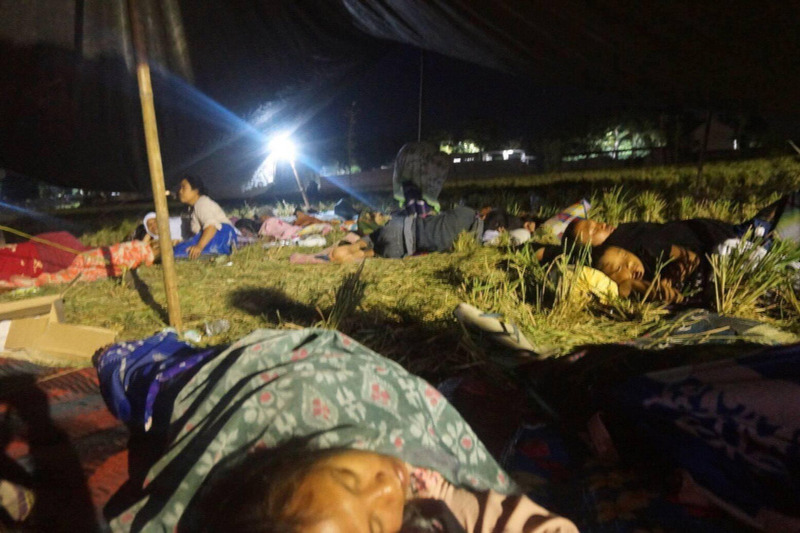 Some people decided to stay, and for them, we organized food, water and shelter as well as provided power with our generator so people could charge their phones and reach their loved ones. We helped all of our own guests stay safe on the island, and make their way to Lombok when they wanted to go. Throughout this all, we made sure that our guests knew that we considered them part of our family and would keep them safe. The Indonesian government did all they could and came to evacuate tourists and all of the people who wanted of the island the next day. Now many people, expat and local alike are off the island, trying to find resources to rebuild and restore our island paradise! 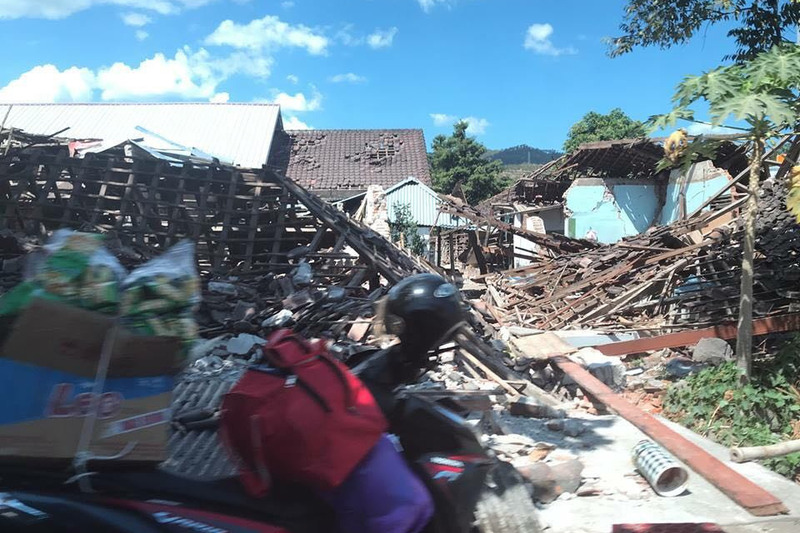 At the moment, we are working on making sure that every town in Lombok is supplied with enough so they can survive and rebuild their homes. We have staff from many of the towns in Lombok, who still struggle to have enough to support themselves or their families and are in urgent need of help! Our first priority is to make sure they and their families are safe. We already have contacts to source the supplies, to bring the supplies via land and sea to the north, but for this we need all the help we can get, so that we can pay for it all. The extent of damage is very hard to estimate, and any help will be much appreciated. The estimate is that over 10,000 local people lost their homes and they all need basic supplies, food, water, shelter, blankets, medicines and clothes. Please help us help! Yesterday another 7.0 earthquake hit North of Lombok and Sumbawa. We here on the Gilis were lucky as the epicenter has now moved further away from us, but people in Lombok are in ever further trouble. We are incredibly thankful for all of those who have helped us in this time of need and we are happy to announce that here on the island, we have already begun to restore and rebuild. But our hearts ache for our brothers and sisters in Lombok, who still struggle to have even their most basic needs taken care of! Please help share the word!